Upon arrival you will be greeted by our representative. And thereafter you will be transferred to Colombo. After breakfast proceed to Dambulla, Lunch at a Local Restaurant. 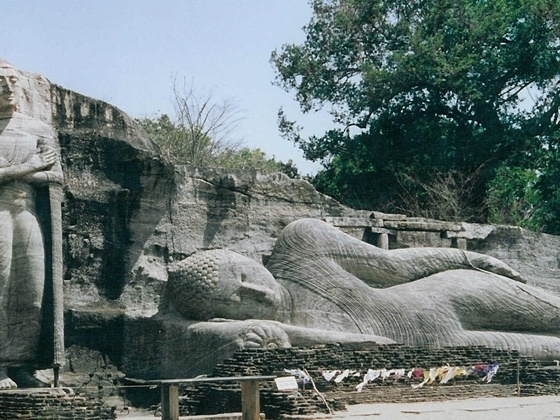 After lunch visit the Dambulla Rock Cave Temple. The Rock Temple and The Golden Temple are interconnected. The history of Rock Temple goes back to the first century B.C. Within these five caves is housed a collection of 157 valuable images of the Buddha and Bodhisatta. In the year 1991, it was declared one of the world heritages sites by the UNESCO. 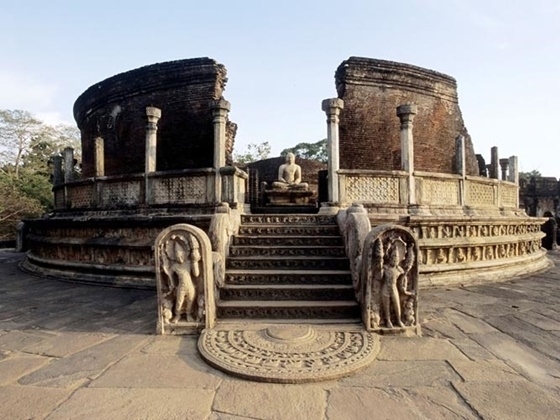 After breakfast proceed to Polonnaruwa for a sightseeing tour, The 2nd capital of Sri Lanka, built in the 11th and 12th centuries A.D, is now a UNESCO World Heritage site. Visit the ruins of the Royal Palace, the Gal Viharaya (three splendid statues of the Buddha in upright, sedentary and recumbent postures carved out of rock). Lunch at a Local Restaurant in Polonnaruwa. 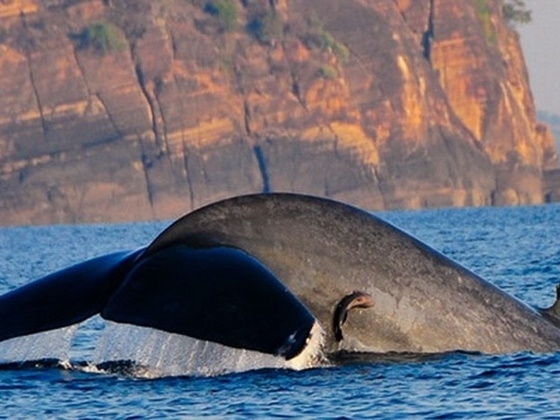 After lunch you will be transferred to Trincomalee. Upon arrival check-in at hotel, and spend your evening on leisure by the beach. After breakfast proceed to Matale to visit a spice garden, where you will be able to witness and purchase well-known spices and herbs of Sri Lanka. 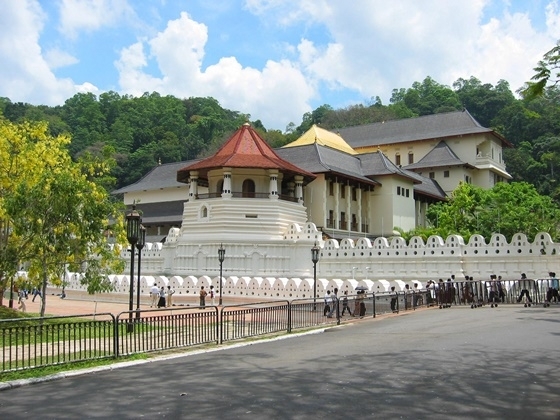 Lunch at the spice garden, After lunch you will be transferred to Kandy, Conduct a sightseeing tour of Kandy, including a visit to the Kandy Temple meanwhile visiting a Gem Museum. Late evening witness a cultural dance performance. 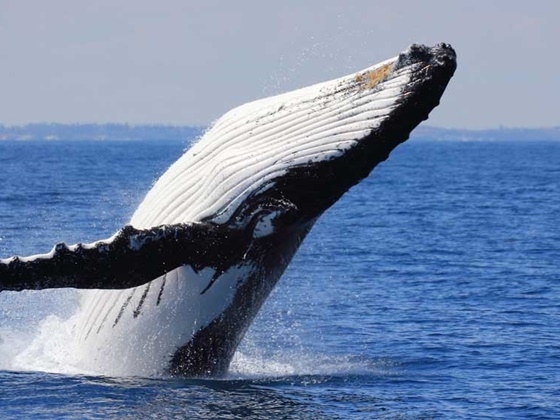 Upon arrival conduct a sightseeing tour of Colombo, including free time on shopping. Colombo, Sri Lanka‘s bustling capital, is located on the country’s west coast and with a population of between 800,000 and one million (estimates vary) is by far the country’s biggest city, as well as its window on the world. Its natural harbour at the mouth of the Kelani River was a magnet for successive traders and conquerors – first Arab merchants, then Portuguese, Dutch and British imperialists.